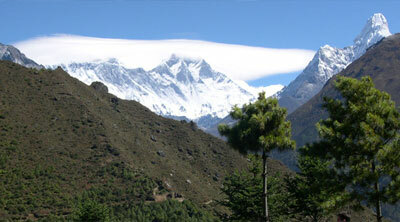 Nepal Himalaya has fascinated trekkers, mountaineers, pilgrims and ascetics over the centuries. Since time immemorial its rocky heights crowned with snow and draped in vast glaciers have lured man to pit courage and ingenuity against its hazardous challenge. Below the snowline at 18000 feet, nature appears to relent and from the austere glory of the heights brings down to a different world of dropping waterfalls, lush green forests, flower-bedecked meadows and a variety of flora and fauna. Here the river flow clears blue and icy. Here are nuzzling small villages and hamlets with their diverse local traditions, dances, folklore and architecture. The people are as vibrant as their surroundings and in many cases innocent of the sometimes dubious benefits of current civilization. For a vast number of people, the Himalaya appears to be the Shangri-la, to others, the abode of God.Trekking in the Nepal Mountain in now quite enjoyable and has become comparatively easy with the development of lightweight equipment and clothing with booming tourist infrastructure. 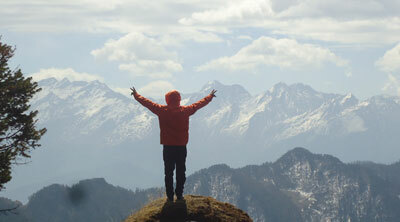 There are difficult treks as well as easy treks, long and short treks. Still find people in remote mountain villages that maintain the age old traditions and have not changed for generations. 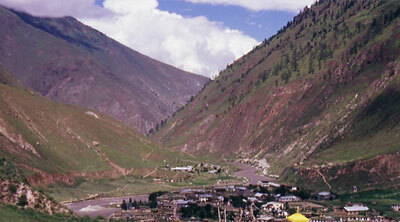 There is much that is new and interesting in the mountain villages. 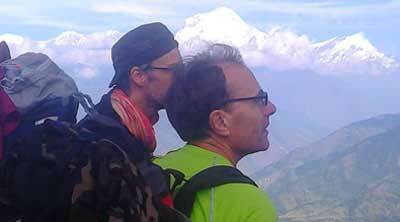 As a result, there are people on the trail to guide and help you the trekkers. 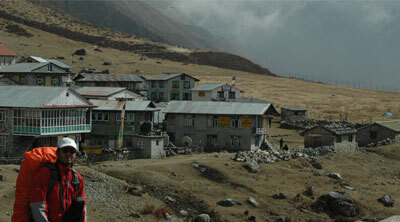 Exposes of daily necessity are also available in these small settlements. Most westerners find it difficult to comprehend this aspect and imagine their trekking trips to be the same as those organized in their national parks or in a wilderness area of their respective countries. 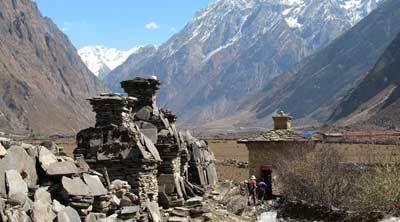 Almost all the Himalaya valleys are full of rustic settlements and the population steadily thins out the rise in altitude. One always finds people on the trekking trails and there is no dearth of information as to trekking routes and directions. Mountain people are traditionally very hospitable and this adds pleasure to trekking in the Himalayas more than anywhere else. 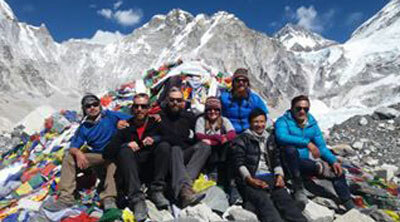 Some people believe that trekking in the Himalaya is a climbing trip where they have to consult rocky cliffs, thick jungle and uncharted routes. 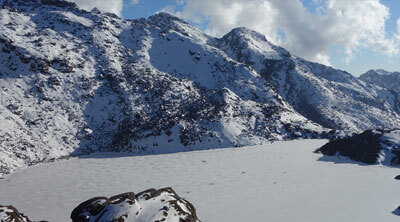 But this is not so, in almost all mountain regions, the local people have well development trails. 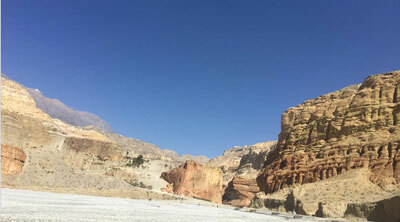 There are routes from one village to the other, between adjoining mountain pastures and across well defined high altitude passes where people travel from one valley from trade, culture exchanges, religious activities and inter-marriages. 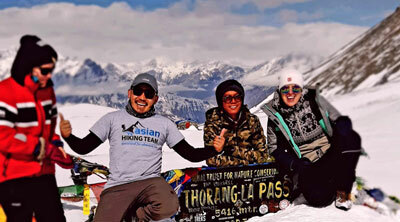 These mountain trails and high passes usually do not require any mountaineering skill or artificial climbing aids. Of course, at places, they are covered with snow and many have crevasses, however, these obstacles can usually be crossed without the aid of mountaineering equipment like ropes and pitons. 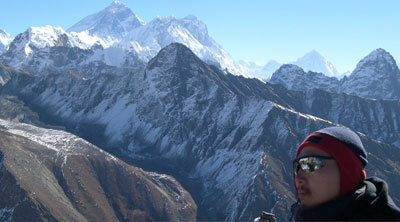 There are only a few difficult treks which need mountaineering techniques or equipment. 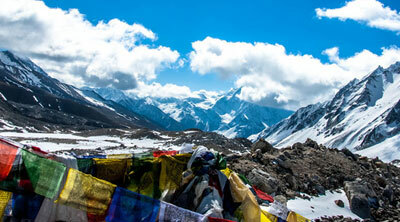 Trekking is more enjoyable than climbing the peaks and offers spectacular scenic beauty. The Himalayan region, till now, has been comparatively less affected by the modern urban civilization with its industrial pollution. 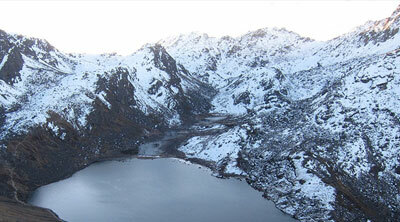 It provides an opportunity to be in natural surroundings and to get away from the milling crowds of the cities. 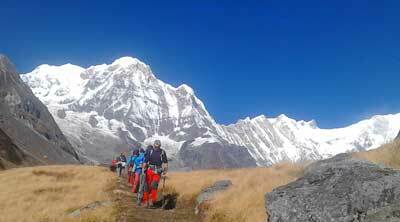 The trekker usually returns home invigorated, and with new enthusiasm to take up the challenges of city life.Here are some Illustrious Trekking in Nepal which we operate as clients demand.